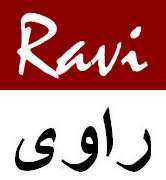 If we have to name one South Asian academic institution, whose alumni influenced its history, politics, literature and arts like no other, GCU Lahore has no competition. At GCU’s 150 years anniversary and celebrations, GCU’s Vice Chancellor proudly bragged that although Pakistan have only 1 Nobel Prize [Dr. Salam’s, at the time of speech], GCU has 2 Nobel Prize winners as its alumni [read article to find out!]. Since a picture is worth a thousand words, below is a quick snapshot of GCU’s most known produce with short [and unneeded] introductions. Top Row [Left to Right] : Rameez Raja [Cricketer], Aitzaz Ahsan [Polician and Lawyer], Faiz Ahmad Faiz [Poet and Socialist], I.K. Gujral [PM of India], Mustansar Hussain Tarar [Writer], Aisam-ul-Haq [Tennis Champion], Dr. Muhammad Iqbal [Poet, Philosopher, Founding Father of Pakistan], Dev Anand [Bollwood Star], Shafqat Amanat Ali [Musician]. Middle Row: Dr. Javid Iqbal [High Court Judge, Writer], Hanif Ramay [Academic and Bureaucrat], Dr. Abdus Salam [Physicist, Nobel Prize Winner], Dr. Mahbub ul Haq [Economist], Qudrat Ullah Shahab [Bureaucrat and Author], Hadiqa Kiyani [Artist and Musician], Patras Bokhari [Writer and Principal of GC Lahore], Nawaz Sharif [Politician, Entrepreneur, 3rd time PM of Pakistan], Dr. Hargobind Khorana [Nobel Prize Winner in Medicine]. Bottom Row: Syed Babar Ali [Entrepreneur & Philanthropist], Bano Qudsia [Author], Ashfaq Ahmed [Author], Ghulam Mustafa [Sufi] Tabassum [Academic and Poet], Noon Meem Rashid [Poet], Khushwant Singh [Author], Ali Zafar [Musicians and Actor], Raheel Sharif [Chief of Army Staff, Pakistan], Moeen Qureshi [PM of Pakistan, Private Equity Head]. 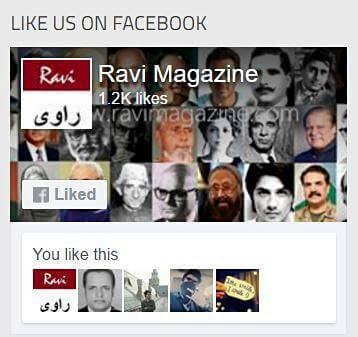 Like our Ravi Magazine Facebook Page to keep in touch!